NOTE: This giveaway is now over. But I still love the Mockmill. How much do I really love the Mockmill? I have a focaccia recipe finished that you'll be seeing soon. Here's a sneak peek. AND I just ordered more grain on Amazon and I bought some farro from the grocery store. 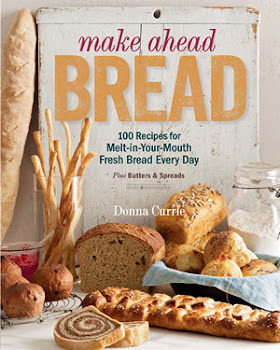 You might think it will be hard to find whole grains to grind, but there are plenty of online sources, and there are probably things at the grocery store that you never thought about - like rice, barley, farro, and spelt. How about quinoa? And steel cut oats? Or you can take coarse-ground cornmeal and turn it into corn flour. How about that? AND, if you talk to farmers at your local market, you might find some that grow wheat or other grains that are suitable for grinding. They might not sell them at the market on a regular basis, but they might be willing to sell you a 5-pound bag at a good price. So, yes, this is something I'm using quite often. And while I imagine that I won't be quite this giddy about it in six months, I think I'll be grinding a lot more whole wheat flour and buying a lot less of it. Besides the fact that I like the results I get from it, I also found out that the whole grains have a much longer shelf life than flour. I've had whole wheat flour that has gone stale or rancid, which is a total waste of money. But whole grains can be stored for much longer. Think about it. Grains are harvested once a year. The whole wheat flour you buy in the fall (before the annual harvest) was ground from the previous year's grain harvest. And it's perfectly fine. Please note that you need a stand mixer for this to attach to - it's not a standalone product. 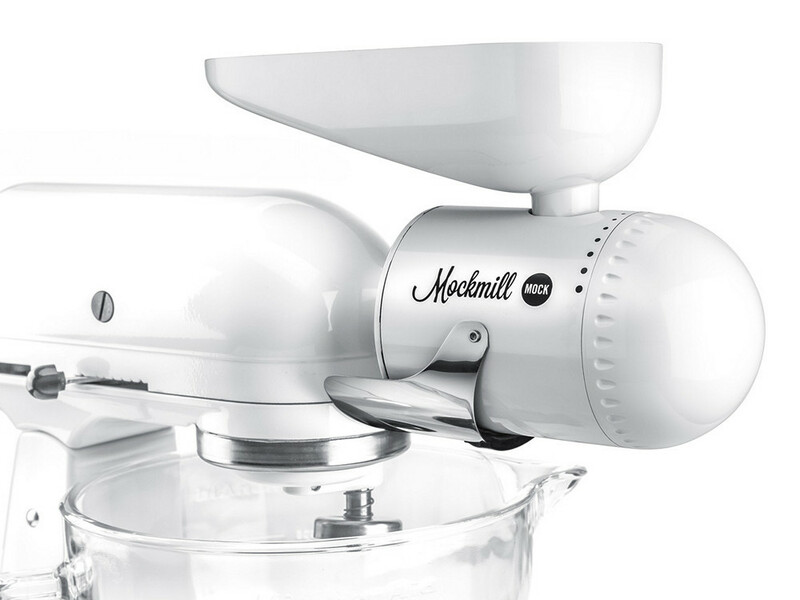 While KitchenAid is probably the most popular brand, it also fits other mixers that have the same power hub. If you have one, you know who you are, right? I received my Mockmill at no cost, but I'm buying the one for the giveaway. Yes, I love it that much. I want everyone to have one!